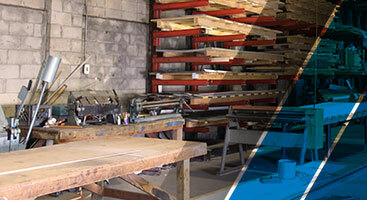 Looking into a new roof for your business? Whether a new-build or pre-existing, takes a lot of time and consideration. In order to choose the best, most cost-effective and long term solution, there are a lot of facets to look into. Material, cost per square feet, aesthetic, and the slope of the roof are all major components in the decision process. Today we are going to go through each of these components and give some necessary information on each one to help you either choose a roof style and material, or learn more about the current roof type. 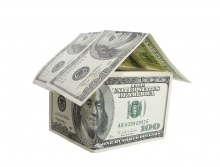 Education on maintaining a roof is the most cost effective way to save money from having to replace it down the road. Let’s take at the different options you have, and which may be the best choice for you. Before deciding on material, based on preference or aesthetic, there are a few crucial questions you will need to answer. If you are looking at a home with a roof present already, here are a few things to consider. 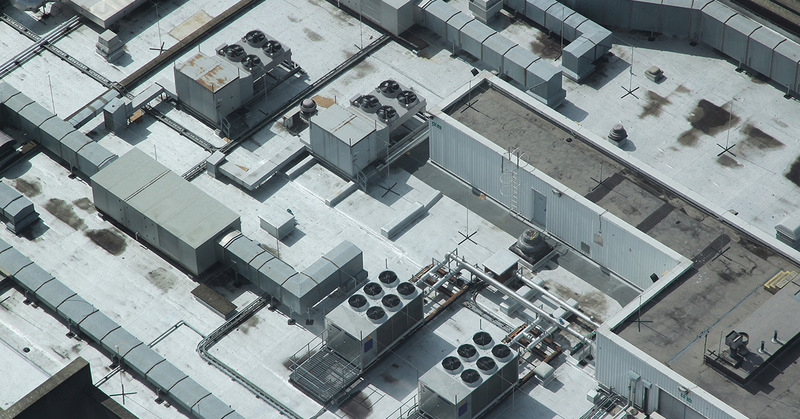 If you are buying a business and haven’t looked into the condition of the roof, it should be one of the first things to look into. Knowing how old the roof is and an approximate time frame of how long it will last will help you be prepared for the maintenance cost and possible replacement. In addition to the time frame of the roof, consider the durability of the material used. New Jersey is home to some hefty snows and extreme weather. Because of this, it’s important to ensure your roofing material is designed not only to withstand weather conditions, but also unplanned emergencies, such as a fire. Assessing the roof’s current condition, duration, and durability are some of the first steps needed when deciding what you may need for material down the road. It is especially important to note if you are building a home to make sure you designate the slope of your roof to the appropriate run. The roof slope is one of the primary factors in the roof design. For obvious reasons such a runoff, or drainage, the slope also plays a large role in determining the interior space of a home or building. Something important to note on the roof slope is that though more expensive, a steeper slope is often more aesthetically pleasing, and actually will last longer. Determining the slope of your roof will in turn help designate which type of material will need to be used, which we will talk more about in a bit. If you are looking into a steep-sloped roof, you will want to make sure the frame can withstand the weight. In the case that you are replacing the roof in it’s entirety, you will want to account for the structure of the home as well your choice of material. Different materials hold different weights, which some structures are not designed to handle. 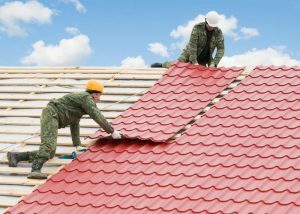 Before deciding material, have an inspection to ensure your choice is the right one for the roof structure. If replacing a roof and old materials must be removed and the structure needs repair, these will be factored into the cost as well. The shape of the roof and what may need to be worked around (i.e. chimneys, skylights, roof lines that intersect, etc.) can increase cost. Don’t let yourself get caught off guard with potential extra costs, call a roofing company ahead of time and ask for an inspection and quote to help you stay within your budget, or know what to prepare for. Now comes the more enjoyable part of the process, choosing your roof material. Once you have evaluated the slope and structure of your home, you can decide which material may best fit your home aesthetic or mandatory needs. If you have never replaced a roof or looked into the variety of materials, you may be surprised at the options you have, pending all prior research has been done. To learn more about each material, let’s take a look at the benefits of each. The most popular and well known option, asphalt shingles. Asphalt is often preferred due to it’s cost-effective nature as well as an ease to install. Made with fiberglass composites, these shingles are great for fire and water resistance and usually have a lifespan of around 20 years. With multiple different color options, asphalt shingles can have a slightly different appearance, but often are the common choice. They are also extremely versatile, being able to be used on low, or steep sloped roofs due to their moderate weight. If you’re looking for a more architectural look for your roof, there are thicker asphalt shingles available that can be staggered for a more appealing structure appearance. Debatably one of the most beautiful roofing choices, slate and tile are also extremely versatile in their function. Built to last, these materials provide wonderful function in the shedding of snow and ice, perfect for New Jersey winters. Slate is one of the oldest materials used for roofing. Best for resisting wind and fire, it also provides a unique aesthetic with its irregular appearance. Clay tile is perfect if you’re looking for an Italian or Spanish look. The biggest aspect to note when choosing this material is it’s weight, your structure will more than likely require reinforcement to support these materials. Also, slate is only appropriate for steep sloped roofs, where as tile can be used on moderate or steep slopes. Either way, both of these materials create a timeless, clean look that offers longevity and durability. Typically used as a more industrial or utility building, metal is also a great option if you want to spend only a small amount more than asphalt, for a clean, defined look. They offer a long lifespan and are easy to install as well. If you are looking for an even more polished looked, copper is an elegant material used on higher end homes and buildings. Either way you swing it, metal is a wonderful material for snow climate, and great for fire and wind resistance. Once installed, this roof should last at minimum, 50 years. If there was ever a material to be coined as timeless, it would be wood. Few elements compare to the rich grain appeal it has. However, due to it’s lack of ability to repel flames, many codes have deemed it unsafe and do not allow it for roofing. If you are dying to have a wood roof, check into getting the shingles treated with a flame retardant in order to abide by fire codes. Wood roofing can last any where from 30 years up to 50 when properly installed and well maintained. Though beautiful, wood roof material does require a fair amount of maintenance including washing to remove mildew or moss, as well as re-oiling the wood. The biggest piece to factor in is, ensuring you use high quality hardware that won’t rust over time. 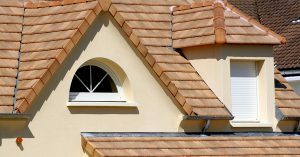 All in all, there are multiple decisions that go into choosing a roof material for installation. Don’t make all the decisions yourself, let the experts help! With over 35 years of experience, S&S Roofing has the knowledge and quality service you can trust with your roofing needs. Whether you need an inspection, maintenance, or a full roof replacement, S&S is here for you. As New Jersey’s Top Rated Local company in roofing, we also have been awarded multiple consecutive awards from Firestone President’s Club and their Master Contractor award. Our company is dedicated to going the extra mile for you. Call today to schedule an inspection.